Overseas Enclave is an initiative to provide lavish lifestyle to the overseas Pakistanis within Pakistan. Location is undoubtedly the excellent part of this block, besides that its development standards are much higher than other blocks. Overseas Enclave is at few minutes drive from Toyota Rawal Motors, GT Road Rawalpindi and it is connected to DHA Phase 1 through Bahria Expressway. Overseas Enclave block is further subdivided into 7 residential sectors i.e. Overseas Sector 1 up to Overseas Sector 7. Overseas Sector 6 is located to the other side of expressway next to A block, while remaining overseas sectors are located next to each other. Very few houses are built in this sector, however plots are ready for possession and construction. Most of the people buy plots for investment as prices at this location can rise much higher after few years. 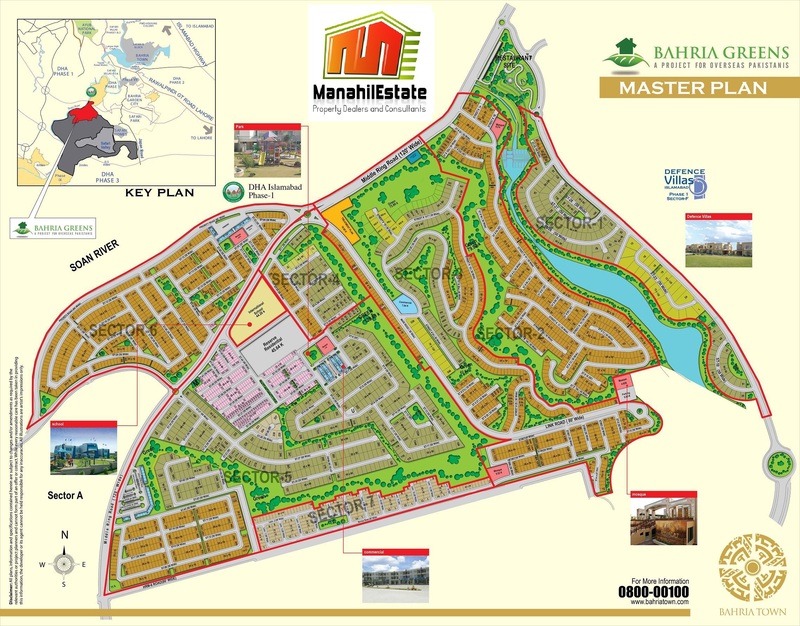 It offers residential plots of 5 marla, 10 marla, 1 kanal and few 2 kanal plots. All sectors are fully developed and possessions have been handed over to the allottees. This block covers quite a large area with uneven surface. Some part of it is located at top height location on hills while remaining area is either level with ground or a bit depression. Average price of 5 marla starts from 25 lacs up to 30 lacs, 10 marla price starts from 45 lacs up to 60 lacs, 1 kanal price starts from 60 lacs up to 1+ crore and 2 Kanal Plots range up to 1.5 crore rupees. These prices depend on sectors, plot location and plot category. Overseas sector 3 is the block at top height and preferred due to amazing view of the whole of Bahria Town. Overseas Enclave was originally meant for Overseas Pakistanis, however it is now available to everybody who can afford to buy here. It is one of the recommended blocks for investment, especially 10 marla & 1 kanal at height location. Expected ROI at this location is much higher since neighboring blocks i.e. DHA Sector F and Bahria Intellectual Village are quite expensive. 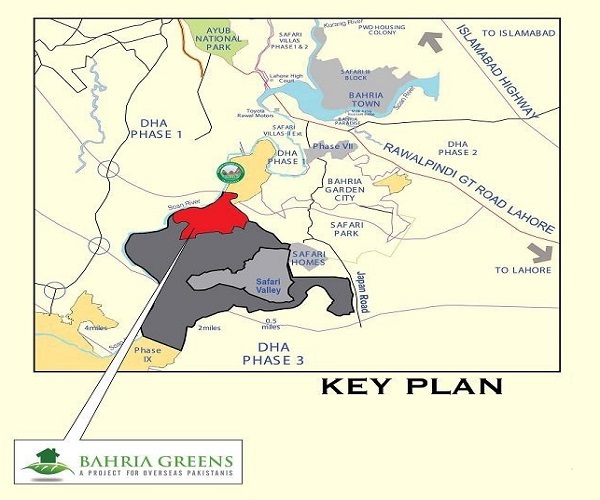 If you require further information on Bahria Greens, feel free to contact us for consultancy.